Evan Bush | Carnegie, OK | Liberty Dental Jamie Cameron, D.D.S. Evan Bush has been a dental assist for 2 years and graduated from Platt College. She graduated from Chickasha High School in 2012. While in high school she was an all-state soccer player! 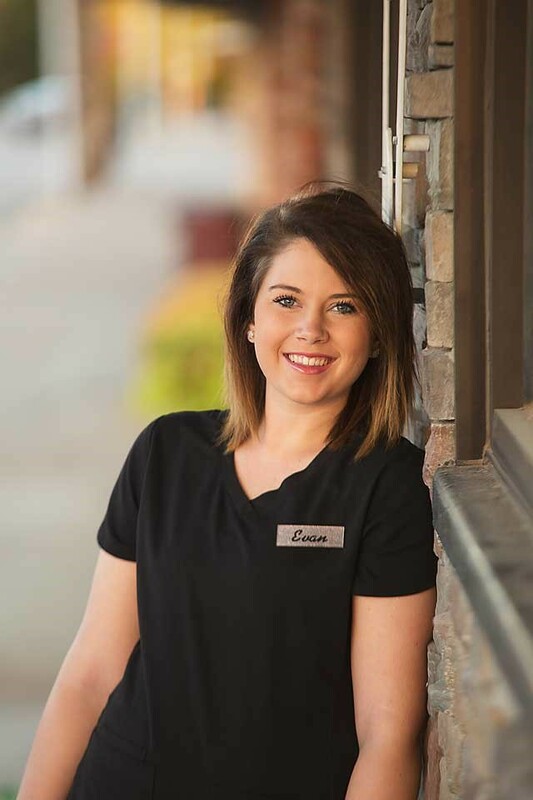 Before coming to Liberty Dental, she worked at mobile dental assisting unit out of OKC, traveling to nursing homes state wide to help the residents with dental care they could not receive on their own. It was very rewarding for her but she wanted to have some stability and we are glad she is with us! She has a beautiful daughter named Parker who is the light of her life. She recently got engaged to Dylan and they are planning to get married in Oct 2018. Dylan is employed at Tinker Air Force Base. They have two dogs and enjoy being outside. She resides in Chickasha but loves the small town and friendly people of Carnegie.